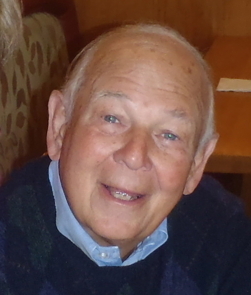 William D. Gourley, 77, died peacefully on September 2nd after a long battle with cancer. Known as Bill to many, Pops to friends and family, and Coach to countless others. Bill spent his childhood on the North Side of Chicago. His growing up years were filled with baseball, football in vacant lots, and streetcar rides to the pool. Summer fun included snitching ice chips from the iceman's truck and cheering for the Cubs from the bleachers at Wrigley Field. These youthful interests in athletics as well as his alma mater, Miami of Ohio ("the cradle of coaches") led to a long career in coaching and counseling. During his first teaching job in Northbrook, he encouraged his students Ann Henning, Leah Poulos and Greg Lyman to pursue skating. Each became Olympic medalists. His early career included coaching football at Loyola Academy where he also created and coached the wrestling program. While coaching at Brown University in the 60's, his freshman team beat Dartmouth 8-0 for the first time since 1922. An opening for a counseling and head coaching position in the Midwest, enticed him to return to Illinois, where he served as the head football coach at North Park College. Six years of recruiting at the college level left little time for his first priority, his family. Subsequently, when offered the head coaching and guidance counseling position at a new school in District 211, he returned to the secondary level. He also served there as the chair of the college counseling department. Eventually he continued teaching yet retired from coaching in order to watch his own children as they pursued sports. He rarely missed their game, match or meet. Having ended his coaching, Bill found his way to a new career as a broadcaster. He became one of the first television broadcasters for a new cable channel, Sports Channel. What would follow was over 30 years in various roles including as the color commentator for IHSA Championship Football games, the voice of the Northwestern Wildcats football team for 7 years, NIU football, the High School Game of the Week, the Aloha Bowl and lastly as an analyst for the Chicago Blitz of the USFL. Bill also spent many years in a different pursuit that changed many young people's lives. Beginning in 1954 as a lifeguard and continuing for the next 44 summers, Bill could be found working alongside a pool. In 1961 he opened the village pool in Northbrook. Next in line was being the pool pro at Old Willow, followed by Westmoreland C.C. for 19 years and then Onwentsia C.C. until 1998. Bill taught countless children how to swim and be comfortable in the water. Golf, gardening and the peace within the nature surrounding his country home, especially when driving his revered John Deere, gave Bill much pleasure. He will be remembered for his ready smile, enthusiasm, stories, spirit and penchant for mischief. He is survived by his sister Karen Gourley Brock. He will be deeply missed by his wife Carol (Hutchison) Gourley. Always the proud father of three children and their spouses: Jennifer Gourley Earl (Brian); Scott Gourley (Jamie); and Doug Gourley (Mary Clare). His cherished grandchildren Hutch, JP, Emmett, Camille, Porter and Payton will miss their lovable Pops for his fun stories, singing, sillies and cheers from their sidelines. A Memorial Service will be held at St. Augustine's Episcopal Church, 1140 Wilmette Avenue, at 11:00am, October 4th. In lieu of flowers donations in his name may be made to The American Cancer Society for prostate cancer, 100 Tri-State International, Suite 125, Lincolnshire, IL 60069. Directly from the Gourley Family: Over the last week the family is grateful for the beautiful outpouring of love and support for Bill. The memorial service will be held on October 4th at 11am at St. Augustine's located at 1140 Wilmette Avenue in Wilmette. Immediately following the family will be hosting a memorial celebration of Bill's life at Michigan Shores Club located on 911 Michigan Avenue also in Wilmette, all are welcome.